It's just a little blood. None of it's mine. Tea? Description: Dulcinea is slender, small, and gracefully made. It's the grace that makes her seem more than she is -- not a little thing, freckled and skinny, but enchanting to the eye. She's pale but sun-kissed; that flirtation with the star of day has brought out a faint constellation of freckles across her nose. Her nose is a touch short, upturned and impish; her mouth is wide, expressive bow; her brow is clear and high. Dark, dramatic eyebrows arch over large, feline eyes of startling cerulean blue; her lashes are so thick, her eyes appear rimmed with kohl. Dark chestnut hair flies in wild waves and curls when unbound, and when bound seeks to escape such an outrage at every opportunity. Her chin... well, it's a bit pointy. If that's the worst that can be said for her? She's a fetching specimen of a lass. Personality: Dulcinea Telmar is brash and blithe, first to dance, lusty (but tuneful) in song, inclined to drink just ONE more glass of wine than she should, and entirely accustomed to getting her way. Did she want a pony? Yes. Did she get a pony? Guess. Her smiles are lovely and winning, her looks askance accompanied by a lift of fine, dark brows and a crooked smirk. She has a sardonic and biting wit when the situation calls, but it so /seldom/ calls. People are just lovely. On matters involving her homeland, she displays something approaching gravitas. There /are/ certain matters that bring forth a formidable woman from the child. 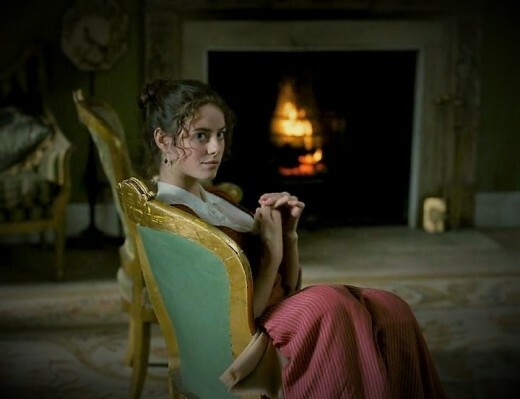 Background: Lady Dulcinea Telmar is the youngest of Duke Arn's children. From the time she could toddle, she was stuck to her brother Ansel and sister Lily like a chubby, determined little burr, throwing appalling tantrums when they would leave her behind on their adventures. All the more reason to become more capable, sooner. She got a pony and a little bow, determined to be the finest horsewoman and archer in any land -- if only so she could go slay dragons with her siblings. In time, she learned there were adventures -- of a sort -- to be had;she enjoyed them, exploring and mischief making with her siblings... but there were no dragons. No call to fell a dire bear at 900 feet. Alas. Too late. The fierce love of riding and the bow, the hunt, was in her bones. The absence of mythic beasts deterred her not at all. By the time she was a young woman, she was well on her way to the goal she'd set with her little bow and pony, but she never thought much of it again. She rides and hunts magnificently but for her own pleasure, usually alone. She adores her siblings and spends time with her family whenever she can. She attends balls and dances and laughs, blithe a spirit as was ever in the world. At night, however, she dreams of the Telmarch and her people. She dreams of the shav raiders, the burned houses, the screaming mothers and the crushed babes. She dreams of war unending, claiming the sons and daughters of every generation. And she yearns to put her bow to better use.